Rachaeli entered this world with her eyes open wide; God delivered her to us shortly before the start of the Sabbath on Friday October 25, 2002. It was a perfect delivery, following a perfect pregnancy. Rachaeli was absolutely captivating. We marveled as we lost ourselves in the depth of her wide brown eyes; they were magnificent windows to an old soul we'd been waiting and training all our lives to love. Enveloped in her mother's tight embrace, our fourth child scanned the delivery room, as if trying to locate her three brothers. She knew her stay with us would be transient; her soul thirsted for as much love and spiritual nourishment as she could absorb. She was the model of serenity, of soulful contentment. In her mother's arms, she was finally Home. Fourteen months later, on December 4, 2003, we learned what Rachaeli knew all along. Her visit to this world would likely be brief; Tay-Sachs Disease would slowly and progressively return her to her Creator in Heaven. We struggled with the notion of an illness for which there was no treatment or cure. We struggled with how much we were being forced to relinquish. What we failed to realize, however, was how much Rachaeli would enrich our lives along the way. This precious newborn was the soul we had longed to meet. After three wonderful boys, a daughter was a gift beyond compare. We named her, in English, Eliana Rachael. In Hebrew, Chana (Hannah) Rachael. Our boys immediately nicknamed her "Rachaeli". They showered their baby sister with stuffed toys, sweet kisses, and an abundance of silly songs. Each developed their own special relationship with their sister; each found their own way to make her smile. But by 3 months of age, Rachaeli was not rolling over, as most children do. At 6 months, her body seemed floppy, unable to sit; not trying to crawl. At 9 months, our pediatrician grew more concerned, as her developmental delays became increasingly significant. Referred to a pediatric neurologist, we were told that this was likely Benign Congenital Hypotonia, a relatively mild condition of low motor tone. Seeing Rachaeli smile and interact warmly, he reassured us that she would likely grow out of these delays. We prayed this was the case. We began Physical, Occupational, and Speech Therapies at 10 months of age, hoping to accelerate her developmental gains. By this point, Rachaeli's babbling seemed to diminish. The only identifiable word she used was "Abba" (daddy, in Hebrew). She said it just once; we would not hear that word again. Her muscles seemed weaker; her startle response remained exaggerated. We didn't understand how these pieces fit together. We grew increasingly frightened, coping differently with feared outcomes neither of us felt prepared to consider. In mid-November 2003, Rachaeli began wheezing. Suddenly, she was working very hard to breathe; she then turned blue before our eyes. We rushed her to the emergency department at Children's Hospital of Atlanta; She was admitted straight to the ICU. "Severe Asthmatic Exacerbation" was the diagnosis of record. Our Pulmonologist gently suggested there must be some connection between her reactive airway symptoms and her developmental delays. Rachaeli was sent home 4 days later with nebulizer treatments and oral steroids. Our baby was 13 months old. Nine days later, on Thanksgiving night 2003, Rachaeli began coughing. We had been feeding her at the table, not yet aware that she was likely aspirating all along. Her coughing persisted, then progressing to wheezing and respiratory distress. Rachaeli was readmitted to the hospital, this time for ten days. Our lives were about to change forever. ...answers to our questions would be painful. During this hospital stay, we pressed for a full medical work-up, hoping to identify the missing piece of her developmental puzzle. The MRI of her brain showed some signs of cortical atrophy. A swallow study demonstrated severe aspiration. An Ultrasound of her abdomen showed an enlarged liver. We now knew that the answers to our questions would be painful. We prayed her life would not be. On December 3rd, the geneticist came to examine Rachaeli. He felt her abdomen, checked her tone, and reviewed our family histories. With caution and reserve, he discussed the possibility of a metabolic disorder, a family of diseases usually associated with the absence of one or more enzymes needed to metabolize cellular waste products. This diagnosis would portend a progressive and degenerative disorder. We were unprepared to look at our smiling baby and envision death. The geneticist said an eye exam would yield more data, while we awaited the results of her blood tests. We returned to our medical texts, reading all we could about metabolic diseases. We learned that the presence of an area of retinal degeneration, known as a cherry-red spot, would indicate that fatty waste products were accumulating in the brain. This would all but confirm the diagnosis of a metabolic storage disease. At least we knew what to pray against. We did not sleep. Our confirmation came on December 4, 2003. A large cherry-red spot on her retina. At that moment, in our daughter's eyes, we watched our dreamlike images of life with Rachaeli dissolve: Rachaeli kissing her own beautiful children; Rachaeli falling in love; Rachaeli holding our hands as we walk home from synagogue; Rachaeli sneaking into our bed at night; Rachaeli saying "Abba" one last time. Soon after, the blood tests confirmed the absence of Hexosaminidase A, the enzyme missing in children with Tay-Sachs Disease. We were stunned by the diagnosis, as we tested negative years earlier on what we later learned was an improperly interpreted screen. Our search ended with words we begged that we misheard. Our baby has Tay-Sachs. And as we gazed now into Rachaeli's deep penetrating eyes, we wondered how the windows that once showered us with warm light could now project so plaintive a cherry red glow. We ached to comfort the old soul we knew was mourning with us. Our daughter smiled back at us, reminding us she understood all along. Over the course of Rachaeli's illness, God has blessed us with the enormous privilege of loving, nursing, kissing, and one day returning a perfect soul; a soul that has known only love. These pages are filled with images, emotions, insights, prayers, smiles, and tears. 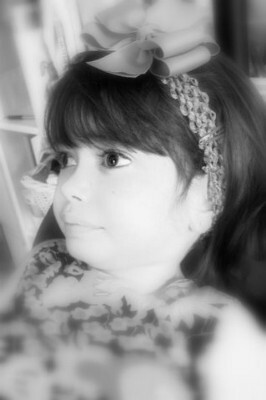 It is a tribute to the life of our sweet daughter, Rachaeli. For more information, please visit www.rachaeli.com www.rachaeli.com .